Crafty And Wanderfull Life: Punchbowl - Online Invitations - New App + Giveaway! 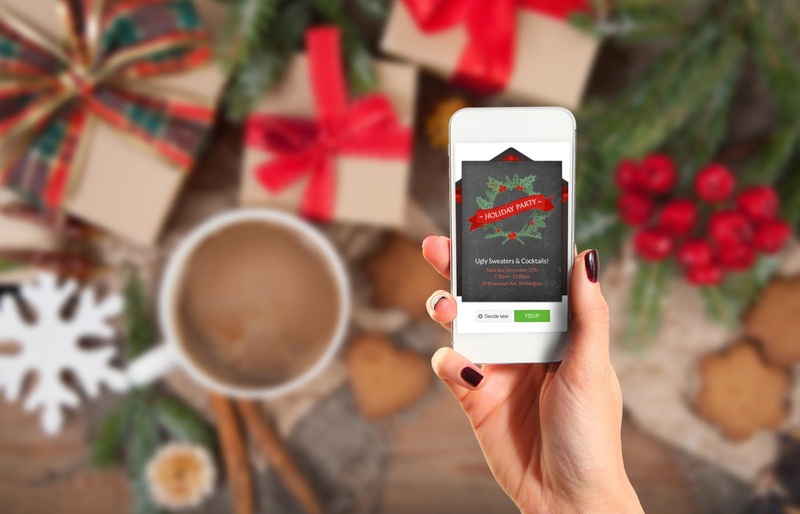 Punchbowl - Online Invitations - New App + Giveaway! It's December and that means holiday parties are just around the corner. Will you be hosting a party this season? Consider this: 1.6 Billion PAPER invitations and cards sent during the Holiday season, and all of that waste has an impact on our environment. Punchbowl is a service that allows you to send online invitations. They offer thousands of designs for every occasion -- from birthdays to retirements and everything in between. Punchbowl also offers invitations that feature characters that kids (and adults!) love, like Mickey Mouse, Paw Patrol, Frozen's Anna and Elsa, and Elmo! Punchbowl also partners with venues, like Chuck E. Cheese's, Dave & Busters and Legoland to help make planning your party easy. Punchbowl is free to use. 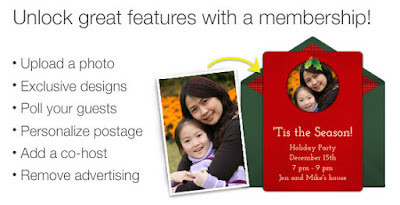 They also offer paid memberships that unlock exclusive designs, allow you to add photos, and remove ads from the invitations. 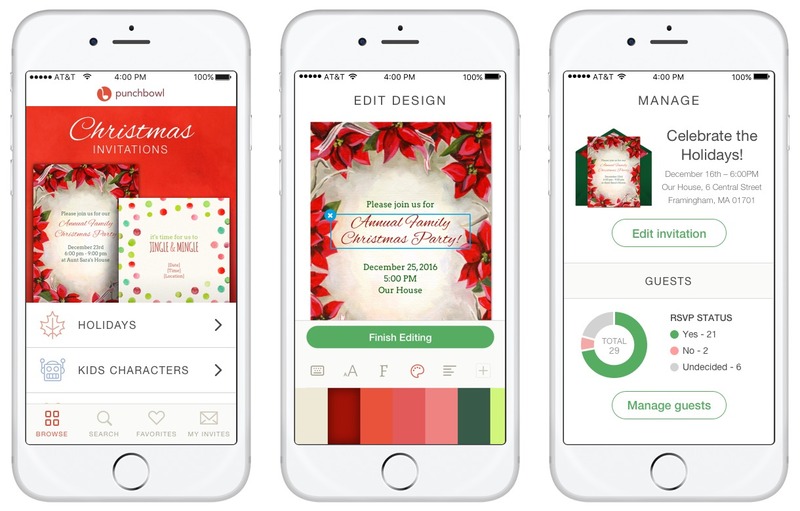 Punchbowl also has a new app that makes managing your invitations even easier. You can send invites through email right from the app and keep track of RSVPs in real time. Enter through the widget below. Giveaway is open to US residents and ends 12/16/16. 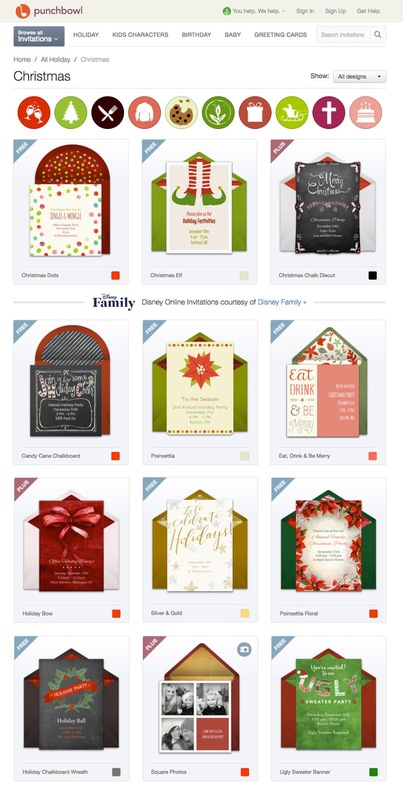 This will be great for sending out your holiday cards and invitations! DISCLOSURE: I received a lifetime Platinum membership to Punchbowl in exchange for writing this post. I love the hello Kitty and Star Wars designs, would be a hit in this house!